In its fifth year, Pacific Pride Foundation’s Youth Connect Conference and PROUD Prom, made possible by Deckers Brands, will take place at 1 p.m. Saturday, April 14, Deckers’ world headquarters in Goleta. Pacific Pride Foundation (PPF) provides programs and services to more than 10,000 people in Santa Barbara County and supports local LGBTQ+ youth with activities and resources year-round. Programs include regular youth group meetings in Santa Barbara and Santa Maria, summer leadership opportunities, in-school academic and social support, and the annual Youth Connect Conference and PROUD Prom. At the Youth Connect Conference, more than 200 LGBTQ+ youth and allies from throughout the Central and South Coast will experience a day of impact and celebration. The conference features workshops and activities to empower youth activism, develop community resilience, and foster strong social justice networks. This year’s itinerary also includes keynote speaker and writer of Marvel’s Iceman, Sina Grace; a conversation with Shadille Estepan of Lady Gaga’s Born This Way Foundation; and a message from transgender activist Jazz Jennings. Following the conference, teens will attend PPF’s PROUD Prom from 5-10 p.m., with music by LA’s DJ Young 1, performances by local transgender and drag performers, and surprises. This event is free, with dinner, workshop materials, and stipends for group transportation provided. “Our Youth Connect Conference is a rich, unique opportunity for LGBTQ+ teens to develop leadership skills and connect with peers from other schools and towns,” said Colette Schabram, executive director of PPF. “With 29 percent of lesbian, gay, and bisexual youth attempting suicide during the past 12 months, and 50 percent of transgender youth attempting suicide before age 20, our event will increase safety and decrease stigma for our LGBTQ+ teens,” she said. Pacific Pride Foundation is the largest LGBTQ+ center between Los Angeles and San Francisco, serving all of Santa Barbara County. It partners with 35 other educational and nonprofit agencies to create a thriving and visible LGBTQ+ community and prevent the transmission of HIV and HEP-C.
PPF provides services and programs to more than 10,000 clients in the inclusive and diverse LGBTQ+ community including youth programs, elder programs, counseling services, sensitivity trainings, community events, and advocacy on LGBTQ+ issues. PPF serves 200 youth with mental health, suicide prevention, and anti-bullying programs, while providing them with a safe place and leadership opportunities. PPF is addressing the opioid crisis via the only clean needle exchange program in the county, which collects about 100,000 used needles annually, and by distributing Narcan kits, which have saved 90 people from potentially fatal overdoses in the past year. 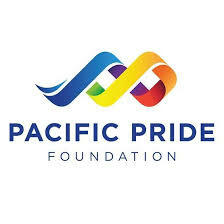 For more information or to make a donation visit https://pacificpridefoundation.org.